What to look for when buying a used Acura MDX? The Acura MDX was introduced to the U.S. in 2001 and quickly became a very popular crossover SUV and is all-time the best-selling three-row luxury crossover on the market. The MDX shares a platform with its Honda cousin the Pilot, though there are several differences between the two beyond their luxury fittings. Such as the seating arrangement, which is seven in the Acura and eight in the Honda. The Acura MDX is also sold in Japan and Australia. The MDX has so far spanned three generations of vehicle with the current being introduced in 2014. All are powered by V6 engines and automatic transmissions as standard. Both front-wheel and all-wheel drive are available. Most Acura MDX models through the generations have done well in safety testing and retain some of the highest resale values in their class. They are considered robust and long-lived crossovers. The first-generation MDX has a high-mileage (over 100,000 miles) reputation for transmission failure, often due to poor maintenance. Growing pains when the current-generation MDX was introduced (2014) have also resulted in the crossover receiving a reputation for small engine problems resulting in dealership warranty claims. Most agree that these are early in that model year's mileage/usage, however, and should be resolved by the time they are on the secondary (used) market. Several recalls for the 2014 model year were also issued. As with most used vehicles, the higher the mileage, the more attention that should be paid to the drivetrain and chassis for potential wear and tear issues. Overall, the MDX has a good reputation as a used vehicle choice and there is no shortage of good choices for used options for this Acura on the used vehicle market. What is the average price for Used Acura MDX? How many are for sale and priced below market? What Acura MDX model year and mileage can you get for your budget? Where does used Acura MDX rank in comparison to competitor vehicles? What Is The Average Price Of A Used Acura Mdx By Model Year? What Is The Average Price Of Competitor Cars To The Used Acura Mdx? What Is The Average Price Of Used Acura Mdx In The Top 10 Cities? The 2018 Acura MDX carries on with design changes made a couple of years ago and holds the same appeal it has since its inception as a luxury three-row crossover. It's still stylish, easy on fuel usage, drives well and holds its entry-level luxury value. For 2018, Acura added an updated infotainment system and more standard features to improve the MDX's value quotient among newer rivals entering the market. Add in the already well-done interior design and the fuel-sipping Sport Hybrid option, and the MDX remains a fast seller for a reason. 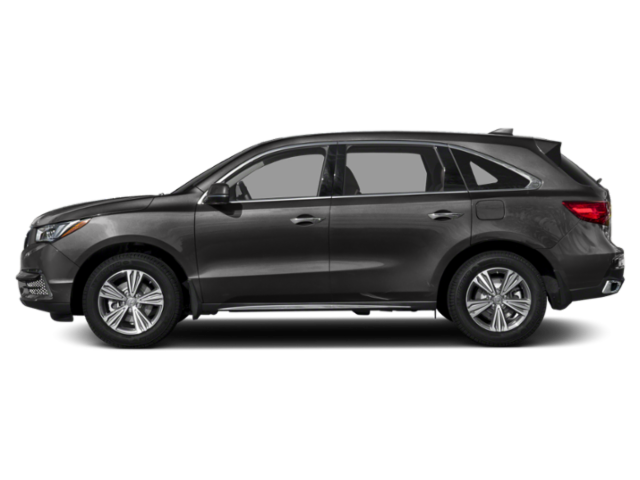 The 2018 Acura MDX is a three-row luxury sport utility that seats up to seven. It comes in three trim levels, starting with Standard and moving through Technology and Advance. The Sport Hybrid model can be had in either the Technology or Advance packages. Acura was one of the first luxury automakers to enter the midsize crossover arena with the three-row MDX back in 2001. It would become one Acura's best-selling models as it offered owners something that is well-rounded and competitively priced against the competition. Since then, the number of luxury brands throwing their hat into the ring has grown. This has caused the old guard such as Acura to figure out ways to combat against this growing threat. For 2017, Acura has given the MDX a new face, additional safety equipment and other changes to keep it ahead of everyone else. Let's see if it makes a difference. It's for good reason that the Acura MDX has been the brand's best-selling model for many of the past few model years. Quite simply, among luxury seven passenger SUVs it has been and thankfully still is the one to beat. Sure, the BMW X5 is fun to drive and offers a third row but clearly the engineers in Bavaria still need to learn how to somehow squeeze in room for the legs of said back row passengers. Honestly, to get anything with more room and comfort you have to move up to a Cadillac Escalade and for some bling is just not their thing. The 2014 MDX is clearly an evolutionary design step forward for this handsome SUV and clearly Acura decided not to mess all that much with a really, really good thing as it brings in healthy sales (and profit margins) for a luxury automaker which has suffered a few misfires of late with releases like the relatively uninteresting ILX. Clearly, if Acura was aiming at BMW with the ILX it seriously missed. Actually, it's kind of hard to think what Acura was thinking when it decided to take the Civic platform and recreate the concept which led to the admittedly awful Cadillac Cimarron in the 1980's. Otherwise, however, Acura does get unfairly criticized in the automotive media as the TL sedan, unique TSX Sport Wagon, RDX compact luxury SUV and RLX luxury sports hybrid all bring interesting engineering, appealing style and solid driving experiences to an admittedly competitive marketplace. Not all of those models sell in huge numbers like the MDX but quite frankly all make for wise purchases and enjoy terrific safety ratings, resale value estimates and reliability rankings. Plus, we all have the new NSX halo sport coupe to look forward to. You know, when we finally get to see it. In the category of luxury midsize seven-passenger crossover SUVs, there are several understandably standout makes, especially among European models such as the 2013 BMW X5 and Mercedes-Benz GL-Class. When it comes to the 2013 Acura MDX, however, what consumers and expert automotive reviewers alike find impressive is that you get so much for the money, a fun-to-drive, spacious three-row, seven-passenger SUV that handily competes with the best in the class.